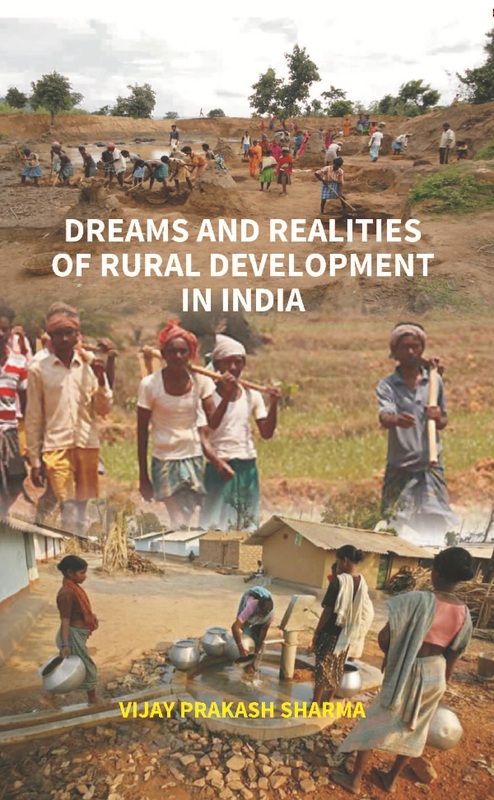 This volume Dreams and Realities of Rural Development in India, contains various problematic issues of rural development in India which has become a familiar subject in the academic arena. The uniqueness of the book lies in presentation of materials in fifteen innovative chapters important to understand different problematic dimensions of rural and tribal development. This book is a collection of research papers presented in various national seminars and reflect sincere effort of author to address different issues like displacement, marginalization, globalization, political and economic movements, environment and women empowerment. This book will be useful to the researchers, master degree students, and faculties in Rural Development, Social Anthropology, Sociology and Social work in understanding problems of development in Rural India and processes of social movements. The volume will also be useful to Policy makers. Dr. Vijay Prakash Sharma is currently Director of the Institute for Human Development Eastern Regional Centre, Ranchi. He is an eminent Social Anthropologist, Former Adjunct Faculty at National Institute of Rural Development and Panchayati Raj, Hyderabad, India. He taught Postgraduate students of Anthropology and Rural development in Ranchi University and G.G Central University. Dr. Sharma organized and chaired Academic sessions in several national and international Conferences in Anthropology. He holds Einstenian Chair of Science of IBI, Cambridge (UK). He became a Senior Technical Advisor to Government of India and Government of Jharkhand for USAID projects from 2005 to 2011. He extensively worked and published 13 books and 100+ research papers in the area of Rural Development, Tribal Development Management, Globalisation and Tribal, Ethno-medicine, Urban problems(solid waste management, Urban Health) Migration and Trafficking, Contemporary Indian Society, Social Problems(Poverty alleviation, untouchability, Ethnicity, Tribal Unrest, left wing extreemism) Art and Culture, Maternal and Child Health, Tribal Health, Nutrition, Social implications of Malaria, STD & HIV ,Tuberculosis and Leprosy, Social Life in English County, Hmar of Manipur, Pahadi Korwa of Chhattisgarh and , Indian Anthropology of Civilization etc..
• Main Lines of Activity • Understanding the people • References. • Indigenous health system and Tribal Vaidyas • Problems of Tribal or indigenous health system • Suggestions • References. • Local food culture of Jharkhand • SAAGS(Plant Leaves) of Jharkhand • Sweets of Jharkhand • References. • Case 6- Mega Development: economic marginalization of artisans’ communities- • Discussion- • References. • Methods • Discussion • Gender Budgeting approach • Constraints of SHG promotion in most backward regions • Conclusion • References. • Discussion • Analysis • Suggestions for promotion of Gender Entrepreneurship in Tribal and Rural Areas • Conclusion. • What are the Marginalized excluded from? • Understanding the people • References. • Methods: • Tribal development & education • Government Programmes for promotion of education for tribal- • Funding of Tribal Development Programmes • Need for a Strategic Plan • Discussion • Suggestion • Short Term Strategy • Medium Term strategy • Conclusion • References. • Discussion • Recommendations • GRAPHS. • Tribal laws and constitutional safeguards for tribal people • Protected areas and natural resource laws in India • State approach towards local communities with regard to forests and tribal people • A case of Palamau Tiger Reserve, Jharkhand • Tiger Reserve and Tribal forest villages • Bare facts-especially regarding the current situation of fauna of PTR are • Conclusion • References. • Legal rights and policy developments • Discussion • References. • Applied and Action Anthropological intervention • Historical background • Geographical Features • Natural Status • Climate • Forest & Wildlife • Process of intervention: The AAA Approach • Discussion • Self Help Groups • Land and Water Management Programme • Awareness campaign • References. • Gender-role attitudes • Gender socialization • Education and employment • Marriage • Conclusion • References.